I’ve been trying to register from yesterday morning but every activation link that I received from the account creation was sending me to a dead link. 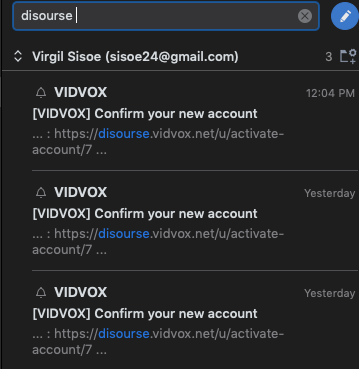 I just realized now that the link has a typo: https://disourse.vidvox.net/u/activate-account/7dffd748f28ac8b87aa3a8d45b2b0a30. the c is missing from discourse. I had 4 link generated between yesterday and today and they all have the same typo. Don’t know if it happened only to me but yea just wanted to point that out.